COME OUT AND SUPPORT THIS WORTHY CAUSE!!! 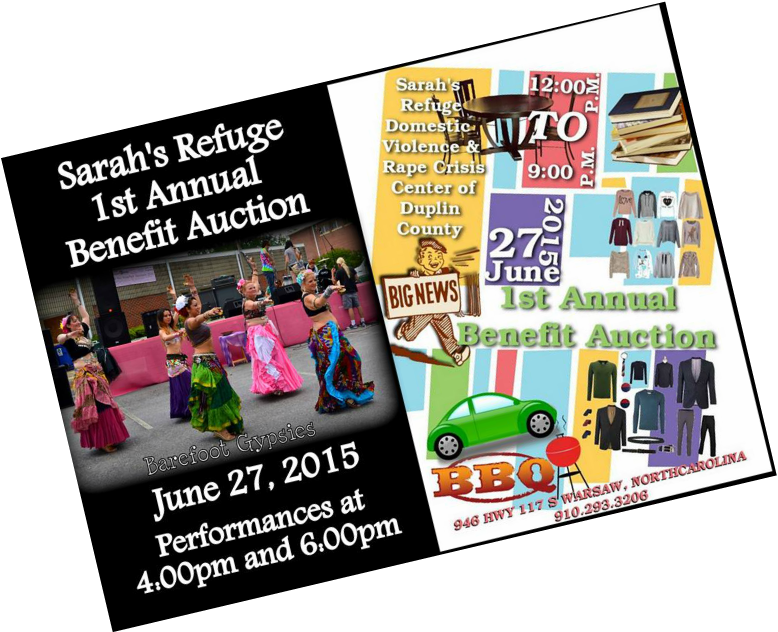 Help to SAVE Sarah's Refuge, Inc., by coming and supporting our 1st Annual Benefit Live Auction! There will be fun activities for the WHOLE family! Open Auction, Silent Auction, BBQ, Hamburgers, Pig Picking, Hot Dogs, Chips, Refreshments, MUSIC, Shag Dancing, Open Booths, GIANT Yard Sale, Bouncy House, Face Fainting, and MUCH, MUCH MORE!!! One item that will be auction off will blow your mind so please tell your neighbor tell your friend to come out and join us! Spread the word!!!! !